If one accepts the proposition that the trial judge has a duty to exclude unreliable experts, a host of concerns inevitably follows. How is a trial judge to assess the scientific or technical adequacy of expert testimony if even a cursory understanding of the issues requires specialized training? Can anyone without such training fully understand the issues and come to a rational conclusion as to their validity? To what degree can the trial judge rely on the expert's own assertions about his or her qualifications? All of these concerns carry heavy weight for in many cases the trial judge is hardly a more qualified assessor of scientific credibility than the jury itself. In this introduction and the papers which follow it, we have laid out some possible answers to the myriad questions raised by judicial gatekeeping. This first paper attempts to establish a historical perspective on gatekeeping in Mississippi. The papers which follow it give a more generalized picture of the gatekeeping debate. Ultimately we hope that you find these materials helpful in formulating or fine tuning your own approach to science in the courts. Even with the adoption of the Mississippi Rules of Evidence in 1985, this formulation of the Frye inquiry would remain the applicable standard in Mississippi's courts. The continued validity of the Frye/House regime remains to this day with only minor modifications despite Daubert. I. Is there a theory, generally accepted in the scientific community, that supports the conclusion that DNA forensic testing can produce reliable results? II. Are there current techniques that are capable of producing reliable results in DNA identification and that are generally accepted in the scientific community? Although the Polk Court asserted that "[t]he first two prongs of the test are essentially a re-wording of the Frye test,"(13) the reference to "reliable results" suggests a Daubert-like broadening of the Frye inquiry. Additionally, the third prong's focus on methodology and potential error is quite similar to the inquiry Daubert would establish the following year. 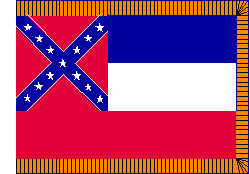 Despite this seeming break with the traditional "general acceptance" standard, Mississippi courts have continued to cite Polk for the proposition that "Mississippi has continued to follow the Frye 'general acceptance' standard even after the adoption of Rule 702 of the Mississippi Rules of Evidence. "(14) Moreover, the state Supreme Court has used this very quote to support its formal repudiation of Daubert in Gleeton v. State. (15) One can imagine that this rejection of Daubert could be justified by citing the implication in Polk that its three-pronged, Daubert-like inquiry is subsumed by the Frye test. To date, however, no court in the state has employed such reasoning, leaving one to wonder if Daubert and/or the broadened Polk inquiry are truly dead in Mississippi. Upholding a judge's right to exclude given expert testimony on the basis of perceived analytical gaps in the science is an unprecedented broadening of the gatekeeper role. Such a ruling at first seems to run contrary to the "liberal thrust" of the Rules of Evidence as articulated in Daubert. It remains to be seen whether courts will be as deferential when judges exercise their discretion in favor of admissibility of arguably questionable scientific evidence. Whether Joiner will effect Mississippi and states like her that have not adopted Daubert also remains to be seen. 6. See Mattox v. State, 128 So. 2d 368, 372-73 (Miss. 1961) (citing Frye to support its holding that "neither the taking of a lie detector test nor the result thereof should be admitted in evidence" partly because it had not gained "standing and scientific recognition."). 7. House v. State, 445 So. 2d 815, 822 (Miss. 1984). 8. Fed. R. Evid. 702 (1998) and M.R.E. 702 (1998) are identical and read: "If scientific, technical, or other specialized knowledge will assist the trier of fact to understand the evidence or to determine a fact in issue, a witness qualified as an expert by knowledge, skill, experience, training, or education may testify thereto in the form of an opinion or otherwise." 9. Miss. R. Evid. 702 advisory committee's notes citing Frye. 10. 612 So. 2d 381 (Miss. 1992). 11. 586 So. 2d 282 (Ala. 1991). 12. 612 So. 2d at 390 citing Ex parte Perry, 586 So. 2d at 250. 13. 612 So. 2d at 390. 14. See Gleeton v. State, 716 So. 2d 1083, 1086 (Miss. 1998) citing Polk, 612 So. 2d at 390. 15. 716 So. 2d at 1087 ("Mississippi has not adopted the Daubert test for determining admissibility of scientific evidence. Instead, this Court has adhered to application of the Frye test."). 17. 118 S. Ct. 512 (1997).